Why Blockchain Is a Part of IoT-Technology? Home Blockchain Why Blockchain Is a Part of IoT-Technology? The Innovative technology, the Internet of Things (IoT), is changing the world of modern business perception. The ability to collect real-time data provides businesses with a number of benefits, allowing them to automate processes, increase productivity and improve customer service. However, one of the most difficult tasks for organizations using the Internet of Things is to provide a proper level of security. The solution is a new model of digital interactions, including blockchain technology and IoT. The integration of this group of technologies requires high transaction processing speed. 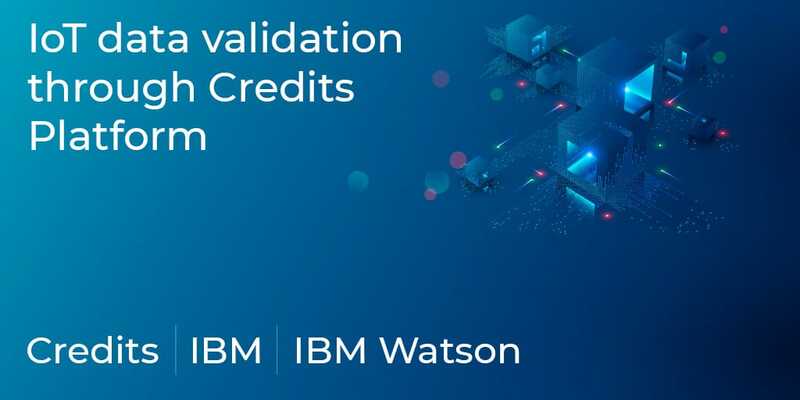 Thereby, the presented model, which involves IBM Watson infrastructure, IBM clouds and Credits blockchain platform, is a perfect way to solve existing problems. The presented prototype is the best approach to bring the “hack-proof” benefits of IoT into the public view along with speed, which is required for the registration of the vast number of devices into a public blockchain. Thanks to the efficiency, speed and capacity of the Credits platform it can now be performed. The developed model is applicable for industries/market segments where high-quality data is collected from sensors/gateways and reaching consensus is vital for further transactions between market participants. This model opens a huge market of prospects, proving the value of IoT and blockchain for businesses with their subsequent mass adoption. Scheme of interaction. 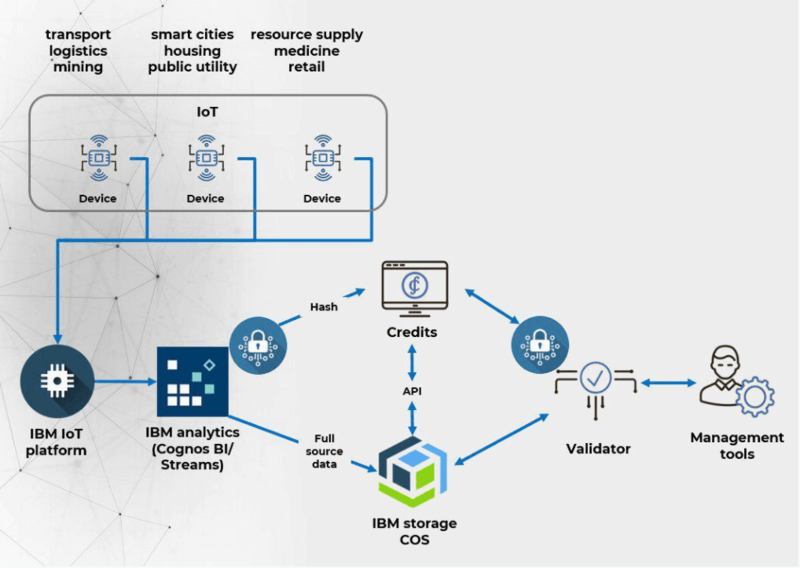 IoT devices transmit metrics on the IBM Watson platform. Received data is saved to IBM Storage (Cloudant). A hash is calculated and then recorded to Credits blockchain. Hash comparison starts. In cases where a calculated hash and a hash in a blockchain match, this indicates that the data is reliable and was not changed. The process of validation is completed. The Credits CS token is available on LBank, CoinBene, KuCoin, and many other cryptocurrency exchanges, according to CoinMarketCap. This article is submitted by a guest author or the respective company mentioned in the content, or their agents. This content may be marked as sponsored, and Blokt.com does not necessarily endorse this project/company/product/ICO and is not responsible for or liable for any content, advertising, products or other materials on this page. Readers should perform their own due diligence before taking any actions related to the content on this page. Blokt.com is not responsible, either directly or indirectly, for any damage or loss caused, or alleged to be caused, by or in connection with the usage of or dependence on any content, products or services mentioned in this article. Litecoin [LTC] Price Prediction: Did We Reach a Bottom at $25?